Database migration in progress. If the site goes a little crazy, please bear with it. 0 comments Published 13 years, 3 months ago	in Personal, Cause an Effect, WordPress and Noteworthy. This post seems to be a long time coming – last year (pun intended) as a matter of fact. So I’ve been slacking a fair bit on the blogsphere, but the same can be said about life in general. It’s just hard getting back to work as well, considering the weekends are chewed up by New Year festivities. And before you know it, you’re back at work but only this time you’re staring blankly at the computer screen, expecting it to do the work for you without having to tell it what to do (where the heck is AI as predicted 20+ years ago?). I got to travel home to Malaysia twice for work (three times including my annual holiday trip home at the beginning of the year), which was really cool because: (1) I travelled on business class (for free, something which I could get used to); and (2) I got to catch up with family and friends more frequently. I ended my total depedency on public transport and bought a car earlier in the year, a 2000 model Toyota Corolla Levin. With a sunroof. And in black. Can you say chic magnet? Only after a few months of having the car, I got my first ever (out of 13 years driving experience) parking ticket on an evening out for a free buffet dinner. Oh, the irony. 2005 also marked the year when I finally moved into my new apartment, after having lived in my previous house for four years. I put my money where my mouth was and decided to switch to a Mac. Though technically I haven’t got my Powerbook yet, I placed the order before Christmas. I started putting my thoughts on the web once again in September after an extended (four years) hiatus. But this time, rather than just being an avenue to express my personal thoughts, this site also captured the footprints of my near-daily cyberspace journey, in the form of asides posts. Cause an Effect was also my own little design sandbox where I messed around with CSS styling and hacking the K2 template for Wordpress. As you would’ve noticed, the site looked either hunky dory one day or completely broken the next. I was also meant to upgrade K2, but that fell throught due to my hectic schedule (and laziness). In the midst of all this, I whipped up a K2 alert message hack, and a tutorial on adding and styling a Digg linkroll on your blog, both of which are now either defunct or obsolete. I also wrote a couple of plugins, one which was released at the close of the year. And while I’m not doing anything else, I spent a great deal of time on the Bonsai forums, which has now taken its rightful place at home. I’m pretty pumped about some of the things I like to achieve this year. Most of it are site-related, and to mark the beginning of a new year, I’m pleased to annouce that the site will be moving over to the fantastic guys at Media Temple. Not only that, my blog will be brandishing a new identity and domain name, which I’ve kept under wraps for a while.I’ll be unveiling the new name once I’ve migrated my database over and get Wordpress up and running. Now that this is out, I can also extend my gratitude to Paul for the wonderful Christmas present. And speaking of Wordpress, what better way to start the blog on a new server by running on the new Wordpress 2.0 engine and K2 Beta Two! Upgrades, particularly K2, have been long overdue and this is the best time to switch over. From a design standpoint, the current design is now cast in stone and I will be building a new layout from ground up based on the latest revision of K2. I already have all these ideas flowing out of my ears, and all I just need now is to sit down for a solid week to code it. Without revealing too much, all I will say is that the new design is going to minimalistic and will have some bells and whistles (read: AJAX). Work on the new site is already in the pipeline, with the new Wordpress engine already in place. I will be winding down on posting till I can safely migrate the database over, which is happening this weekend. Hopefully, the next entry may also be the final post on this site. One can’t finish of a year-end roundup post without acknowledging the people who have, in one form or another, made an impact or influenced you. To my family and friends, thank you for sticking by me even though I may be an arse at times. To my mates at work who talk footy and cricket all the time, keep it up! To the team of Michael and Chris for their awesome work on K2 and the inspiration they give to the community. Also to the K2 community over at the Bonsai forums, for the ‘tech’ support and new friendships, my hats off to you. And last but not least, eat, drink and be merry! Here’s looking at 2006. Cheers! Listen to this podcast (mt), Cause an Effect, Media Temple, Powerbook, Wordpress, WP Hacks, and WP Plugins. 4 comments Published 13 years, 3 months ago	in General. 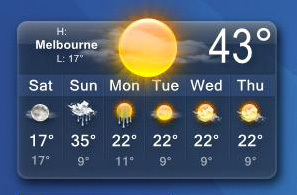 On my watch, this is by far the hottest day in 2005 (and according to The Age, it is! 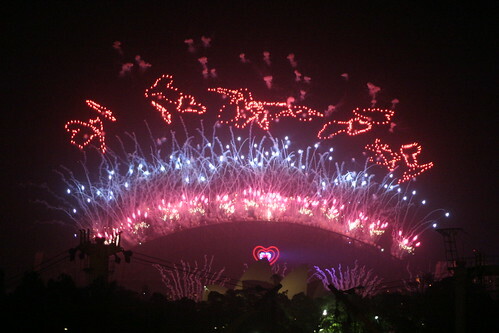 ), and it’s right smack bang on New Year’s eve. Somebody help me! I’m melting!! I’ll post a year end roundup later, but right now I’m just concentrating on not overheating. Listen to this podcast Heatwave, and Summer. 27 comments Published 13 years, 3 months ago	in WordPress and WP Plugins. Talkr Podcast is a Wordpress plugin that enables you to podcast your blog posts using Talkr, an online podcasting service. While Talkr provides you with a code snippet to place in your blog to podcast your article, this plugin does all that for you by placing the podcast link at the end of each post without having to manually hack your files. First, you’ll have to register an account with Talkr. Once you have access to your Talkr account, enter your blog’s RSS feedlink into the “Add RSS Feed” text input. Then, click on any of the links under “Promote your feed”. You will be given a code snippet to include in your blog. Look for your Feed_ID number (it should be something like this: ...feed_id=XXXX..., where XXXX is your ID) and record it down. Upload talkr-podcast.php into your WordPress plugins directory (wp-content/plugins). Go to the Plugins page and activate the Talkr-Podcast plugin. Listen to this podcast Podcast, Talkr, Wordpress, and WP Plugins. 20 comments Published 13 years, 3 months ago	in Cause an Effect, WordPress and WP Plugins. Listen to this podcast del.icio.us, digg, howto, linkroll, Wordpress, and WP Plugins. 2 comments Published 13 years, 4 months ago	in Personal. December has got to be busiest time of the year hands down. It’s not necessarily just on the work front, but man, it’s the string of social events, dinners, Christmas shopping, more dinners, moving office, and…did I mention dinners already? Plus I’ve filled up on my alcohol quota for the year this month alone says a lot; well actually, it’s my gut that’s doing the talking. December also marks the month where I’m officially switching to a Mac (well, still keeping my Intel rig for gaming). Booyeah! After having worked out the salary sacrifice options as part of my employment benefits, I’ve put an order down for a 15” Powerbook. Unfortunately, it appears that Apple Australia had run out of stock (which is odd, knowing that Christmas is just around the corner) and they will not be in till next month (year too!). I had already bought the Applecare Protection Plan and the Booq Vyper sleeve (it is teh sh!t I tell ya!) off eBay, and I got an Apple Wireless Mouse as a Christmas present from my housemate. So the only thing I need now is the Powerbook! So here’s wishing everyone a Blessed Christmas! Amidst all the madness of Christmas shopping, present wrapping and pigging out at Christmas dinners (I know I already had one too many leading up to it! ), may we all remember the true meaning of Christmas as we celebrate the birth of our Lord Jesus Christ. HE’s the reason for the season! You rock, J-man! Listen to this podcast Apple, Applecare, Booq, Christmas, Powerbook, and Santa. 4 comments Published 13 years, 4 months ago	in Personal and Cause an Effect. As you would have guessed by now, I did absolutely nothing to the site over the weekend. The days leading up to the weekend saw several issues popping up with revision 125 on the Bonsai forums, plus the word from the man himself that another release is close, put my plans to upgrade on the backburner yet again. That’s not to say that all I did instead was bludge just so you know. I finally took a casual stroll to the shopping strip around my area on Saturday, after having moved into my apartment for over a month already. My agenda was to look for a quilt and sheets for a queen bed I bought recently. Didn’t have much luck there though the sales people were courteous and offered me some useful tips when shopping for bedding material. The remainder of the day was spent at factory outlets (got some sheets too!) and a church early Christmas gathering. My birthday was on Sunday too actually. My plans to have a quiet one and work on the site turned out to be a full day out; starting with church in the morning, an unexpectedly long lunch, some more shopping followed by a birthday dinner with a few friends, and hanging out at a friend’s place till late and finishing off a bottle of white. Needless to say, getting out of bed on Monday was sheer torture and I’m still feeling exhausted from the big weekend now. Now if you’ll excuse me, its time for my second coffee for the day. 1 comment Published 13 years, 4 months ago	in Cause an Effect and WordPress. Michael’s just made a (kinda) low-key release of K2 revision 125 on the Bonsai forums instead of the regular announcement over at the Bonsai itself (I wonder why? Update: It’s now up). With tweaks and add-ons like these, it’s just too tempting not to upgrade as the site’s been on revision 90 since it was released. So barring any appointments, I’m blocking out this weekend to take the plunge into my worst nightmare and upgrade it to the latest release. Listen to this podcast Binary Bonsai, Cause an Effect, K2, and Wordpress. Cause an Effect is the digital playground of Ka-Meng Au. Based in Melbourne, he is a consultant with one of the Big Four by day, and a design tweaker and K2 hacker by night (and whatever free time available).